Telecommunications is truly a dynamic industry that has dramatically changed thanks to the growth of mobile and broadband networks. This change has been driven almost entirely by relentless consumer demand as mobile and tablet device use continues to soar through the roof. With just about everyone having their own mobile and demanding instant access to broadband, Yorkshire Laser & Fabrication have adapted and grown to meet these new challenges. But how can a laser cutting and sheet metal fabrication company be involved with the telecommunications company? 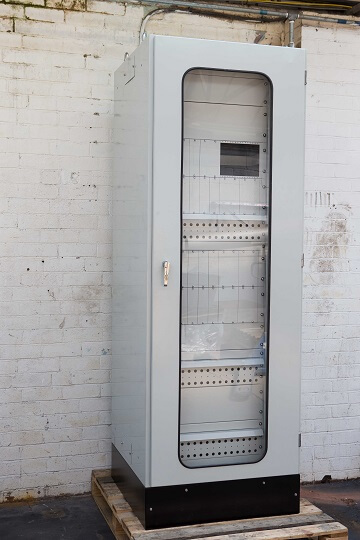 We have extensive experience manufacturing enclosures, racking equipment and a multitude of bracketry for countless organisations involved in the telecoms biz! It is this experience and know-how that places us in the most ideal position to deal with the high-pressure delivery schedules and quality requirements of this market. What Can Yorkshire Laser Do for Your Business? 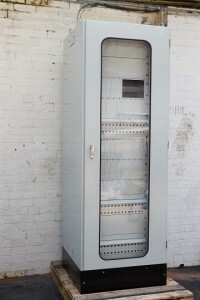 Switch and component enclosures, satellite dish parts, computer monitor cases and telephone components are all examples of items that will undergo some form of metal cutting technique. Our unique ability to provide top-quality products, on time and in line with reliable tolerances makes us a wise choice when it comes to your material needs. We can take care of anything from a small batch of parts to a huge bulk volume order. We make extremely clever use of our sophisticated CNC equipment and advanced CAD/CAM development systems, meaning we can tailor a solution to suit your exact needs and requirements. This will help to reduce your lead times, lower costs and improve the quality of your products. Our primary focus throughout the whole process is always you and what you want to achieve. We can create custom-built screen housings, manufactured to your specifications delivered in next-to-no-time. 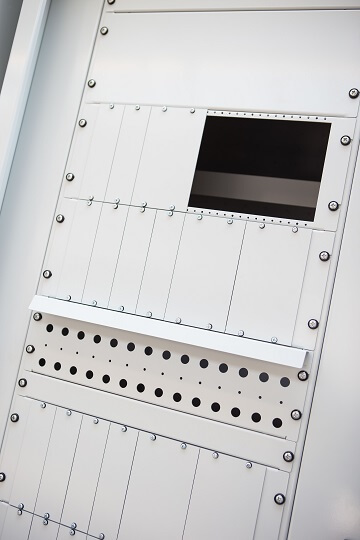 You can request a range of metal thicknesses quickly and to an extremely high standard. You want only the highest level of performance and quality when it comes to your telecommunications and IT related products. Here at Yorkshire Laser, we completely understand that! This is especially true when you have a complex wiring system in place that was very expensive to install. We ensure each and every component we create for you not only fits the bill but exceeds your expectations too! Give us a tinkle on 01977 553 120 if you’d like some more details or leave your name and number on our contact form. We’ll get back to you as soon as we can! If you’d like to email us directly you can do so – just send a message to info@yorkshirelaser.co.uk and one of our representatives will be in touch.